Pakistan tour is one of the popular tourism activities in Pakistan. Pakistan adventures tour offers beautiful Himalayan views, cultural aspect ,beautiful landscape, Pakistan historical monuments etc. Since Pakistan has been open for travelers /trekkers /mountaineers Himalaya Journey Treks & Expedition, Nepal has depth experience to operate the all kind of adventure package trip in Pakistan with co-operate Pakistan local travel and trekking agency. HJT focus on quality adventure package tour with clients holiday schedule and desire. Skardu Hunza Tour, Lahore- Pashewar, Swat Tour, Pakistan Indus valley tour, Khyber to Karachi Gandhara tours, Karakoram valley tour. 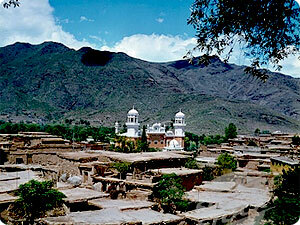 Pakistan Heritage Tour are most popular adventure tours in Pakistan. HJT is use the local Pakistani tour guide and staff for the relevant Pakistan adventures tours.